I'm a huge fan of lavender scents and just find them so relaxing and soothing. 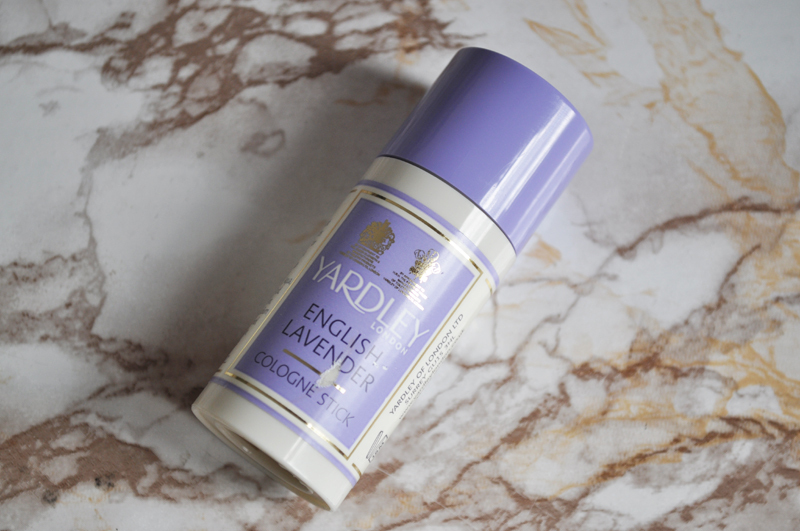 If I'm having a stressful day or am feeling nervous/anxious about something, a spray of Yardleys English Lavender* perfume really helps. Even though this is an eau de toilette, it lasts just as long as a normal perfume for me. I also really like the simple packaging! This perfume is currently on offer for only £6.99 which is a bargain. The normal price of £9.99 is great as well. I've never heard of a cologne stick before, let alone tried one so I had no idea what to expect with this one from Yardley*. 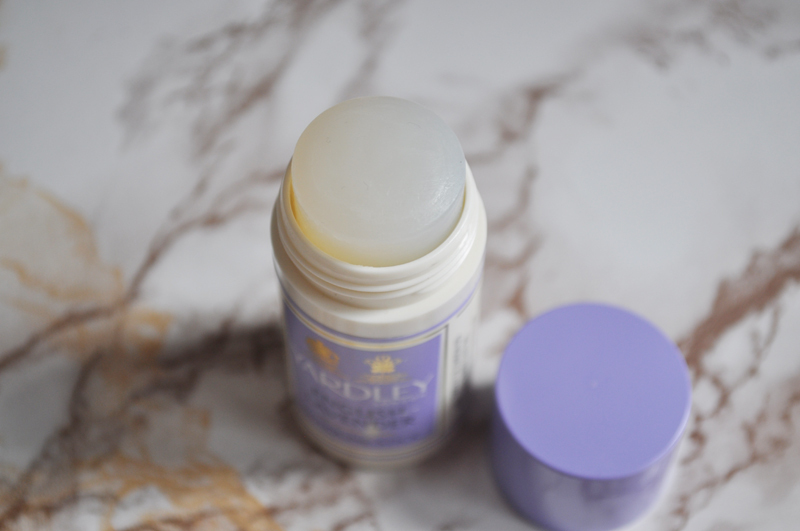 It's basically a solid perfume and has a bit more of a musky lavender scent than the perfume. Once applied you get a slight cooling feeling that lasts a few seconds. I keep this one on my bedside table to use if I'm having trouble sleeping as I find it really helps. I just apply this to my wrists and behind my ears. Unfortunately I can't find this on the website anymore so it may have been discontinued as I did get it last year but looks like you can still buy it on other websites. 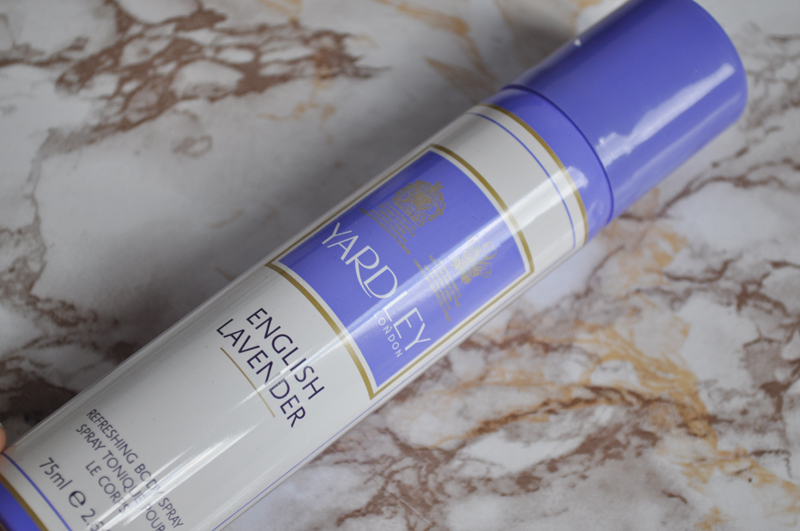 I'm not a huge fan of body sprays because they don't last long enough so I've been using this one from Yardley* as a room spray and on my bedding which I've been loving. This one has a bit more of a baby powder scent than the other two which makes a nice change. This is another bargain at only £2.49. 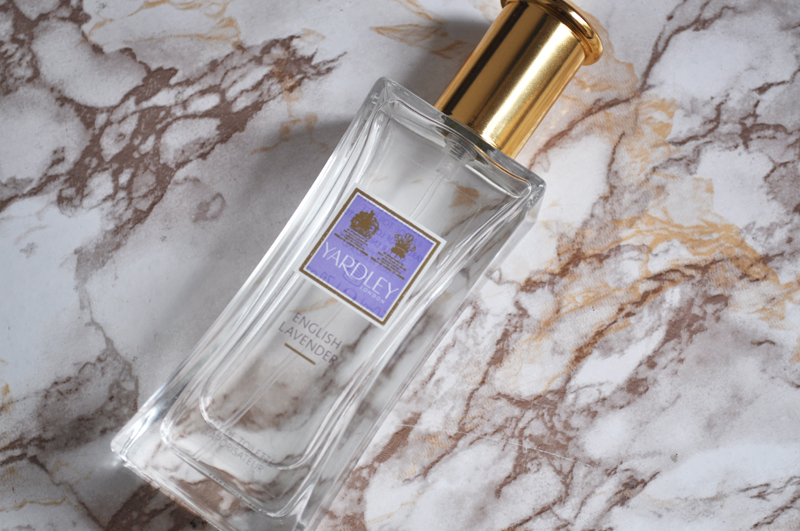 Have you tried anything from Yardley? I'd really recommend their bath foam! I love lavender scents they are so soothing, I'll definitely have to check this out. I couldn't wear the perfume during the day though I'd be falling asleep all over the place.